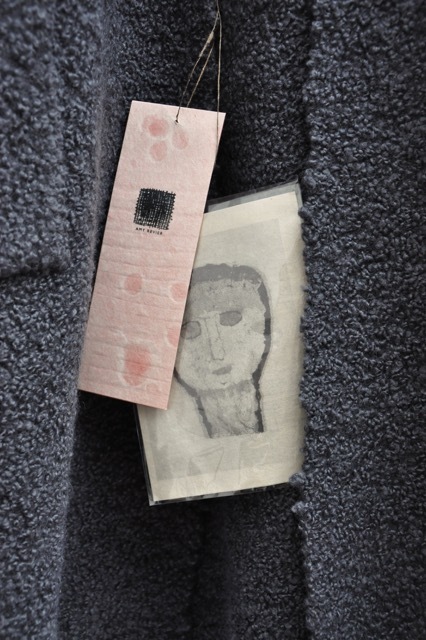 I have attached here an image of what I use your wonderful paper for — as handmade cards for my handwoven garments. I am a weaver and artist that makes one of a kind coats. Your papers are used for these pieces. I love the paper very much, such a treasure to work with you. Copyright © 和紙 名刺 通販 | 和紙通販 和心工房 All rights reserved.